Posted by	 H&L Coffee Co.
What’s the best way grind for coffee by different brew styles? Let’s learn how to grind coffee! Outside of what you will need for brewing the coffee, you’ll want some of the best single origin coffee beans and a great grinder. Most people swear by the conical burr grinders, but it depends on how much you want to invest. 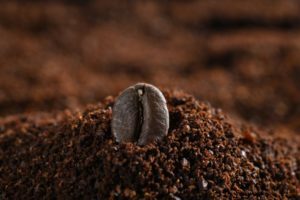 As long as you’re aware of the level of grinds you want for your favorite brew, and you are willing to put in the practice time with whatever grinder you choose, you should be able to get to a great coffee grind according to your favorite brewing method. 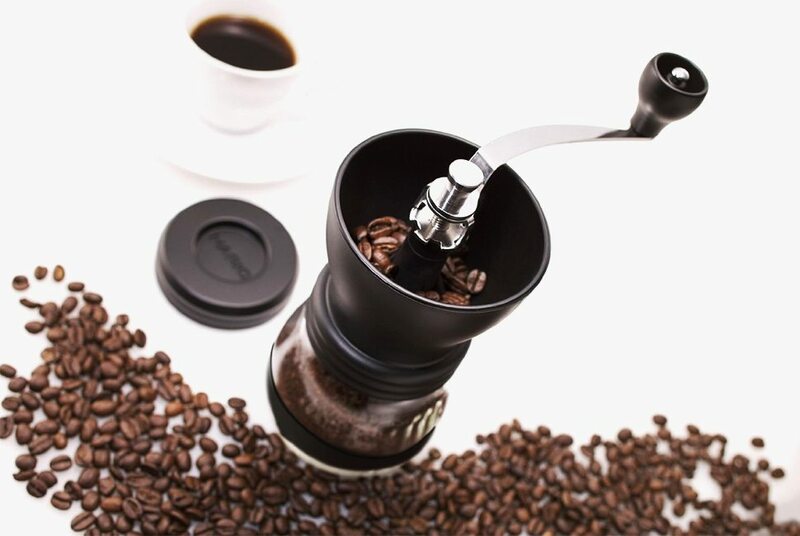 The majority of us will be looking for a great grinder to handle roasted beans for a drip brew. Others might want a more expensive grinder that advertises being able to handle a French roast grind. From there, you can find very expensive grinders that people swear by for espresso grinds or an even finer grind for Turkish brewed or Greek brewed coffees. 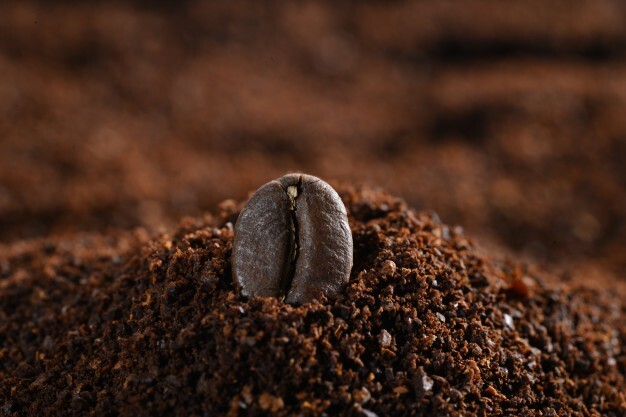 Let’s look and discuss the various grinds associated with different brewing methods. We’re going to organize these from the chunkiest or most coarse grind to the finest grinds. Regardless of the grinder you select, most can produce these grinders, they may not be perfect, and some may take a while to grind down to the finest coarseness levels. Cold brew is a fantastic brewing method if you like a cup of coffee that isn’t as acidic. It also allows the coffee to have a subtle taste. Because the taste is subtle, more flavors are present in every sip. While some like to heat up their cold brew, it’s also a great way to feed your coffee addiction on a hot day. In learning how to grind coffee, this is a great place to start. The most direct cold brewing method you can try almost for free is to place your ground coffee beans into a jar. You want anywhere from a one-to-seven to a one-to-nine ratio of coffee to water. Stir your coffee and water slowly until they combine. Place the jar in the fridge, or you can choose to leave it out, for about one day. After a day has passed, use a sieve to drain the grounds. The best grind for cold brewing coffee is a very coarse grind. At this grind level, there will be no fine or powder like pieces in the grind. The beans will be ground into small-medium chunks. When you are first learning how to grind coffee, the tendency may be to try to grind this a little too much, remember, it’s gonna taste great with the chunks! What is French Press Brewing? People who enjoy French Press coffee love the flavor of coffee. 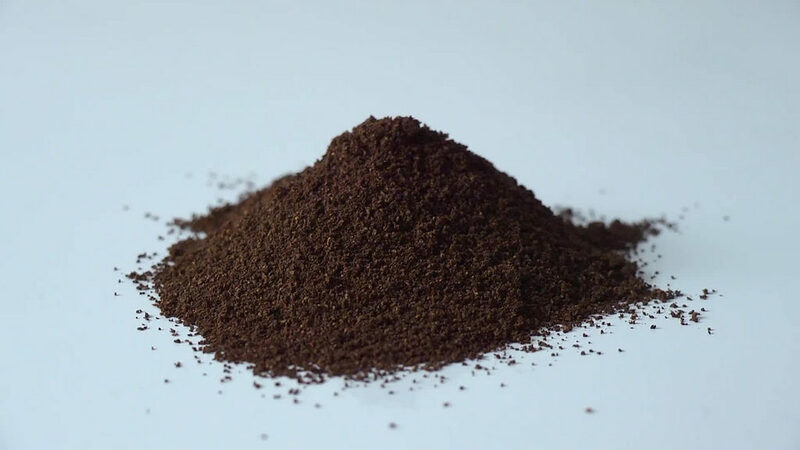 Reportedly, paper filters like those used in drip coffee remove oils, while French Press leaves them in along with small pieces of coffee to add to the flavor. 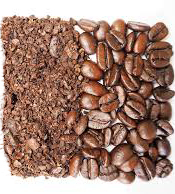 Like eating great food, the flavor of coffee exists in the oils and fats. A French Press lover appreciates the tiny bean particles, the view of the oils sitting on top of their coffee, and the amazing aroma. First off, a French press brew requires a French press coffee pot. This is usually a narrower cone container with a plunger. You will want to bring water to a boil and wait about 20 – 30 seconds. 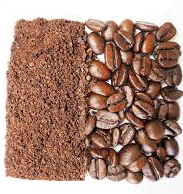 Place your coarse coffee grinds into your container (usually added at about a fifteen grams-to-one gram ratio.) After a short wait, the water should be at 200 degrees, the perfect brew temperature. Make sure to get a timer going and pour the hot water into the French press. Give the coffee and water a small, slow stir to mix properly. Place your plunger at the top of the container but do not press down. You are trapping the heat for about 3 to 4 minutes. Now it is time to plunge. Be as gentle as you can when pressing down the stopper for this step, if it’s too hard to press down you may need a finer grind, too easy and you may need a coarser grind. To minimize grit, if you don’t want it in your cup, press down until there’s about an inch remaining. The best grind for French Press brewing is a very coarse grind. 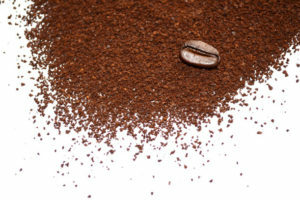 If you’re learning how to grind coffee, remember the grind is not as coarse as that used for Cold Brewing. However, it is still full of small chunks, and the beans will not be ground to a powder. What is Cafe Solo Brewing? Café Solo brewing peaked in popularity a few years ago. There are still those that claim it is the best method for a true brew and a full taste. It is allowing the coffee and water to brew and steep, and learning how to pour the coffee with as little silt as possible (unless you enjoy the bits). Some would call it an acquired taste, and an advanced grind if you’re just learning how to grind coffee. Café Solo steeps water in the same way that’s utilized for French Press brewing. Unlike French Press, however, Café Solo is mixed once with a paddle after the “bloom” or expand. The coffee is then gradually extracted through an immersion brew. You may have seen Chemex brewing in action or at least a Chemex brewer. It looks like someone is pouring the coffee through a filter into a large glass jug. However, it is a much more delicate process. With Chemex brewing you measure out your coffee and water, about 50 grams of coffee to 650 – 750 grams of water is a great place to start. You start by placing the filter and saturating it with hot water. 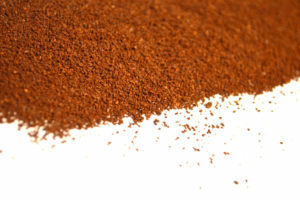 Shake out your ground coffee into the filter, spreading it evenly and flattening out the surface area. You will pour your hot water in a total of four pours. First, pour, you’ll want about twice as much water as coffee grounds. Pour it evenly without pouring down the sides. This amount of water will allow your grounds to expand. You’ll then do three more complete pours, allowing the water to strain through. When each of the subsequent pours, you’ll want to pour in circular motions over the grounds (avoiding the sides) while allowing the water to strain through. This “Chemex brewing” process should take about 4 – 5 minutes. The best grind for Café Solo brewing will be grinding to a coarse sea salt texture. The best grind for Chemex brewing will also be a rough sea salt texture. If you’re new it and learning how to grind coffee, remember the grind will not contain small chunks, nor will it be ground to a powder or fine texture. What is Automatic Drip Brewing? For this section, we’re covering the automatic drip brew, not a manual pour-over. Auto drip brewing is easily the most common method of brewing coffee (although Keurig and drive-throughs are steep competitors!). While many would argue against drip brewing, there’s a lot of reasons to utilize this brew method. First, there are many automatic drip coffee pots with timers that may be downright essential to certain lifestyles. There are those constantly brewing for large amounts of people. Be it at the office or for a large family. Finally, there are times when drip brewed coffee ranks in taste right along with much more time consuming or “fussy” methods. Therefore, there are those who prefer it. Brewing automatic drip is a simple process many of us have done a few thousand times. You fill the water reservoir, add a disposable or washable filter filled about three quarters to four fifths full of ground coffee, and hit the brew button. There are steps you can take to create an outstanding cup of automatic drip brew coffee that you may not have believed possible. First, and of course, we’d mention this, is the coffee bean. Finding a coffee bean you love can be quite the adventure. You must have freshly roasted beans. 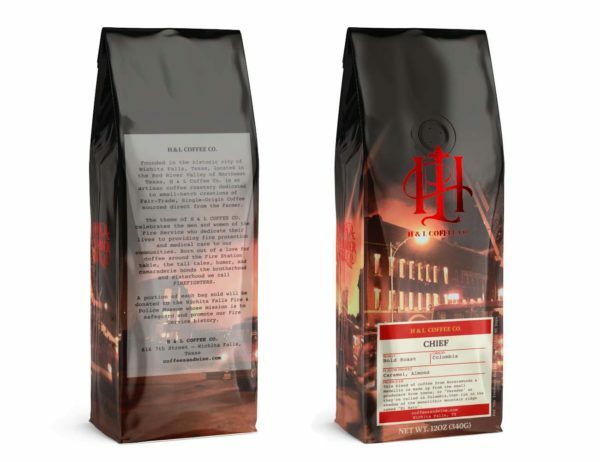 Which we offer by the way as we do roast to order, and we hope you’ll try all of our fresh roasted H&L Coffee Co. single origin coffee beans and single origin blends. Once you find one you love, you have to find that perfect grind for your coffee machine. Medium grind. When it comes to learning how to grind coffee, this should be one of the easier grinds to get down. The smell and taste of coffee come alive when the hot water hits the grind. If the water passes through too quickly, you lose taste, and if it passes through too slowly, it will make your coffee way too bitter. Your grind determines the speed at which water passes through your grind. When you’re looking for that great cup, don’t pre-grind or set it up the night before. The best cups of coffee from automatic drip brewing will include coffee beans that are freshly ground. Believe it or not, your amazingly aromatic ground up H&L Coffee Co. whole beans will not overcome the taste of local water when ground. Nor can any other coffee. Not even a ton of practice learning how to grind coffee will overcome this taste. If your local water isn’t great, or you don’t like the taste, it is coming through in your cup of coffee. Don’t believe it? Try a cup with your favorite beans, freshly ground, and with filtered water. Be prepared to be amazed. Lastly, make sure to remove your coffee off the heating element when it’d done brewing. Make enough to drink immediately, and brew again later if you want that consistently delicious coffee. And don’t forget to wash your carafe after every use. Unless you’re going for that cast-iron skillet effect for tasting previous brews! What is Pour Over Brewing? With freshly ground beans, pour over brewing provides a quality cup of coffee without a lot of fuss. The great thing about pour over is it passes the majority of control over to the immediate brewer. If you know an excellent barista they may be able to serve you an excellent pour over cuppa at your request. Or if you want to play mad scientist at home, you can vary multiple factors searching for your perfect cup, you can alter your grind, change your water temperature, control your pour speed, and find an amazing combination only you know how to produce. You know we’ll get to the grind recommendation. Just keep in mind that this is the most important part of most brews, and pour over is not any different. First, You want about 5 – 7 oz of water to every 2 tablespoons or 10 grams of coffee. This will vary by your grind size. Next, you’re going to water that is piping HOT, directly off the boil is recommended. With your freshly ground coffee in a wet filter positioned over your carafe (your setup may vary) you will pour the piping hot water over your freshly ground beans until you see your pour is totally absorbed. Let this sit for 30 seconds or so while your coffee expands. Now, you can either pour until the water is nearly to the top or continuously slowly pour either way the method and speed at which your pour, along with your choice of coffee will determine the outcome, it’s your choice and you will discover your preferences! The best grind for pour over, or manual drip brewing, is going to be a medium grind that leans towards the finely ground side. 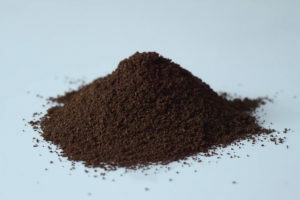 If you’re learning how to grind coffee, remember it will be similar to the grounds we are used to from a can of Maxwell House or Folgers, but with a portion of the grind a tad finer than what we’re used to seeing in a grocery standard grind. What is Espresso Brewing at Home? Some of us make espresso at home all the time, and you can, too! In most cases, you can use your standard equipment, a stove top espresso maker. A French press or Aeropress can be used to make a great cup of espresso as well. You will also either needs beans blended to be espresso (if you like espresso) or you can use any beans, it just may not come out as well. The benefits of espresso brewing include a rich tasting cuppa, the ability to make more complicated coffee beverages, and the ability to make a super strong small cup with a caffeine punch! When you’re learning how to grind coffee for espresso, remember, you probably want it a little more fine than you’ll think at first! With espresso, if you choose a method other than stove top (we’ll cover Stove Top Brewing in a new blog post coming soon), you double your coffee usage. With this change, and the correct grind, you can make espresso with your presses, your automatic drip, or most any brew method. The only less effective method is the automatic drip brewer, you can double your amount of coffee with the suggested grind level, but it will still produce a lesser cup of espresso. Outside of a Turkish brew, this is going to be your finest grind. An espresso grind is going to take a solid grinder. You are looking for a fine grind level. 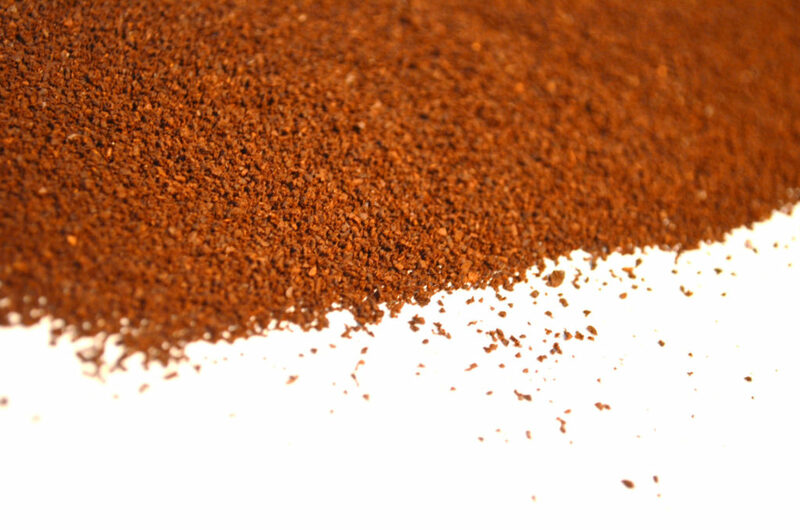 For espresso, your beans should be ground to an almost powder like consistency. One of the great things about getting into different styles of coffee brewing and levels of coffee grinds is the opportunity to become a mad coffee scientist. You get to try the results of so many different styles of brewing for the first time! Luckily, we have single origin beans and blends for all your brewing needs! Just remember, when you’re learning how to grind coffee, it’s a fine art, and many variables are based on your practice level and what you like.